A quick glimpse into enjoying the outdoors in Australia. 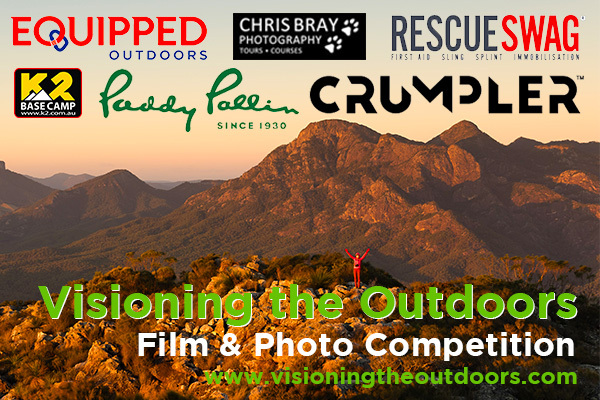 ‘Assignment’ was created as a school film project designed to advertise Australia, and naturally, my favourite part of Australia is the outdoors. The majority of the film was captured at Girraween National Park on a family holiday in which we did some rock climbing and hiking. Most of the people who appear in the film are family, including my mother, father, and older brother as well as a few ring ins. I’ve always been deeply interested in the outdoors as well as film making and to combine the two has been a fantastic experience and one that I wouldn’t have been able to achieve without the support of my family, friends, and film teacher. Making these films is such a rewarding hobby for me, as it not only brings back memories of good times spent in beautiful places with great people, but it also serves as an easy reminder for when I become more forgetful as I age. Townsville and the surrounding areas are a dream for explorers and adventurous thrill seekers year round. Making these films helps to show a wider audience why we live here, and influence more visitors to experience the lesser known places. From Los Angeles and my son’s best school friend invites us on a camping trip…and we can’t wait to do it again! Moved to Queensland from Los Angeles with my family 3 years ago and it’s a camping trip like this one that makes us want to stay forever! Thrilling trip to the Thetford Reef, 50km East of Cairns, featuring a uncommon sighting of 50+ massive (1m long) bumphead parrotfish! A spectacular up-close encounter on our Great Barrier Reef. Thetford Reef, was looking healthy when filmed in December 2016, but unfortunately was hard hit by recent coral bleaching events. Well, one must get one’s friends together and jump off a waterfall. We set up a huge rope swing off a 90m waterfall in the Tropical North Queensland hills just north of Townsville and had some adventures and good times. The idea stemmed from a new years eve camping trip to Blencoe Falls with friends. As soon as the raw power, majesty and beauty of the falls came into view, we all knew something fun and adventurous had to be organised soon. We returned a few weeks later after organising all the gear and knowledge, then went about setting it up. A few test jumps (a bag of rocks) and adjustments later and we were all ready to jump! Steve bravely jumped first, followed by myself. The weather turned a bit too wet for our liking so we packed it up and came back a few weeks later again. With a more streamlined set up and a better jumper retrieval system, we had seven people jump. Marina was the only one who swung through the waterfall, but not because she wanted to, it was her jump angle and freefall that slung her into the raging torrent. We all worked hard, and had fun, stayed safe, and got our adrenaline pumping in one of the most beautiful areas of Queensland. Now bigger and bolder projects await. QLD has so many opportunities for discovery where you cannot always see them. The Ocean, and the Freshwater areas teem with life and possibilities for education and allowing recreational pastimes to flourish. Primarily divers and swimmers, these water babies find a new discovery on every excursion they embark upon. I challenged myself and three of my closest friends to spend 48 hours alone together in a remote and out of range site – Booloomba Creek. Our solo adventure was monitored and checked on from a distance by a parent who camped in a nearby campsite. The sport of trials riding isn’t an easy one; it takes hard work and commitment, not to mention a large amount of skill. Janine will take you on a journey and show you how trials riding allows her to explore and enjoy the outdoors and spectacular locations that Queensland has to offer. My Ode to Summer – the time for living outside & enjoying what the outdoors has to offer. Trials riding is an environmentally friendly form of riding that emphasises skill and balance in difficult terrain. Despite being a very safe family-friendly sport, very few people are aware of it so our trials club based in Esk decided to make this short film to encourage others to give it a try. This is a short film I took at the Bunya mountains showcasing the beautiful landscape and bushland. My outdoor adventures during the 2015 school holidays! Its certainly amazing how these hidden gems of awe and excitement are just in our very own backyard, all we have to do is experience the great outdoors for our selves. Mobile Minute of the Outdoors by the Maria Auditore, Karen Kempster, Reigan Griffiths and Karly Radford.